Books are a great way to stimulate the minds of kids while teaching them some important lessons of life. There are many books out there that tell a fun story for the youth while hiding important morals in-between their lines and character dialogue. There have been many great people in our history that grew up reading books and became iconic people of our generation. Kids at their young age are at their best time to pick up a book and start reading. It’s a great way to shape them into knowledgeable and good tempered people. After asking many of the acclaimed authors and story writers, here are our suggestions for the 10 books you should make the kids read. This is a classic tale written by Roald Dahl about a poor boy who visits a chocolate factory. 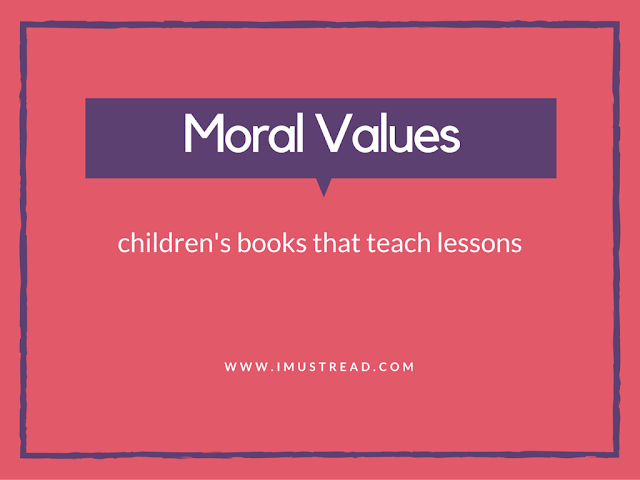 It’s a book whose main character is a child who may be poor, but has a heart of gold. His character is also a great antithesis to the rest of the characters who are stubborn, arrogant and spoiled. The author’s inspiration for this book was from the kids in his family, who were always wanting more and more. Their parents push them to achieve great things, but in the process, they forget to shape them into genuinely good human beings. Dr. Seuss has been known to write quirky and imaginative novels with strange characters and places, and the children’s book “How the Grinch Stole Christmas!” is no exception. This is a story about how a race of people called the “Who” are threatened by a mischievous monster the Grinch. This tale teaches kids not to judge others by appearances. It tells the story of a young Who that finds the Grinch and isn’t scared of him, but sees through his wrong doings to recognize a lonely and troubled soul who was let down by others in the past. This classic book is both for children and adults. It’s written by a famous psychologist who specializes in understanding the human behavior regarding motivation. The book is about people and mice running through a maze and looking for cheese. It touches upon the subject of why people want things in life and why do they pursue it. It also teaches the readers about why it is important to realize that you may not get everything you want, and when you do, there is always a possibility of losing it. It’s a sensitive matter that is discussed here light heartedly and with a lot of scientific insight. One of the best things about Paulo Coelho’s books is that he is able to communicate deeply philosophical subject in a straight forward way that is so simple to understand that even a child can find a meaning from it. That’s why ‘The Alchemist’ is an easy recommendation for books for kids. It’s a story of a young man who is searching for an alchemist that may have the answer to immortality. It’s a long and strange journey when reading this book and many people, both kids and adults, have their own interpretation to what it means, but the beauty of it all is that they would all be correct in their own way. This book needs no introduction. What is arguably the most popular book ever written in the 21st century and maybe of all time. It’s a story of a young boy who discovers that he is a wizard, and learns more about himself and his gifts by joining a school of magic. There is a reason why this book sold more than any other, spawned its own franchise and then was adapted to a movie. It connects with everyone and anyone, whether you are a child, an adult or anolder person, there will be something in this novel that relates to you. Another novel by Roald Dahl, this one centers around a young girl who lives with a very mean foster family who does nothing but sit around watching TV and makes a living by tricking other people. She herself is a kind hearted girl who loves to read and more importantly, has special powers. She can move things with her mind and is incredibly smart for her age. This is the story about how you can overcome bad things in your life and how with great power, comes great responsibility. Most kids will very much find the value of kindness as well as being more mature to even mean adults. In the world of Dr. Seuss, there is a strange place called “Whoville’ where tiny people called the Who live in peace. However, in this children’s book, their peace is disturbed and it can only be saved by an elephant named Horton who is the only one who hears this tiny civilization. This is a story about how people, even when they are vastly different, can still somehow relate to one another and be friends by helping each other. It teaches children to see past each other’s differences and find something that they can share and appreciate about each other. This novel has a lot of mystery in it. It’s the story of a boy who is wrongfully sent to a youth detention center where he and his inmates are forced to dig holes for some strange reason. The book discusses something rather adult topics, like the state of justice in America as well as why people commit crime. It talks about all those issues without seeming like an adult novel. It also teaches kids about the importance of rules and why it’s necessary to sometimes do as you’re told, even if you don’t understand why. This is a heavy novel. The original written by Charles Dickens is a thick book with mature writing, but it has since been toned down to children’s books. That is why we are making this book our last recommendation. This book has important value to teach like why you should live lawfully and why trusting other people is important to get ahead in life. This article is the work of Melisa Thompson. She has been a school teacher for nearly 10 years, and now writes for EssayCampus.co.uk - can someone do my essay for me, where she shares educational advice for parents.